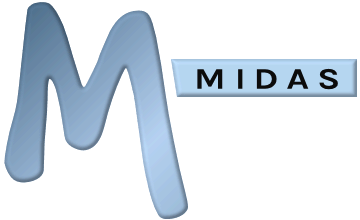 If you have MIDAS remotely hosted by us in the "cloud", we are able to offer you High Grade 256-bit encrypted SSL access as an optional add-on. This will enable https:// access to your room scheduling system in addition to your regular http:// access. With SSL enabled, the connection between your browser and the server is secured with High Grade 256-bit encryption - That's the same technology used by online banks and shopping sites to ensure online security! If you're worried about the potential for your MIDAS data to be intercepted during transit be sure to get this add-on for your Hosted MIDAS now! As of 1st August 2012, the High Grade 256-bit encrypted SSL access add-on is included as standard for all cloud hosted customers, and all access is via secure https connections only!